“Leaf peeping season” has arrived. 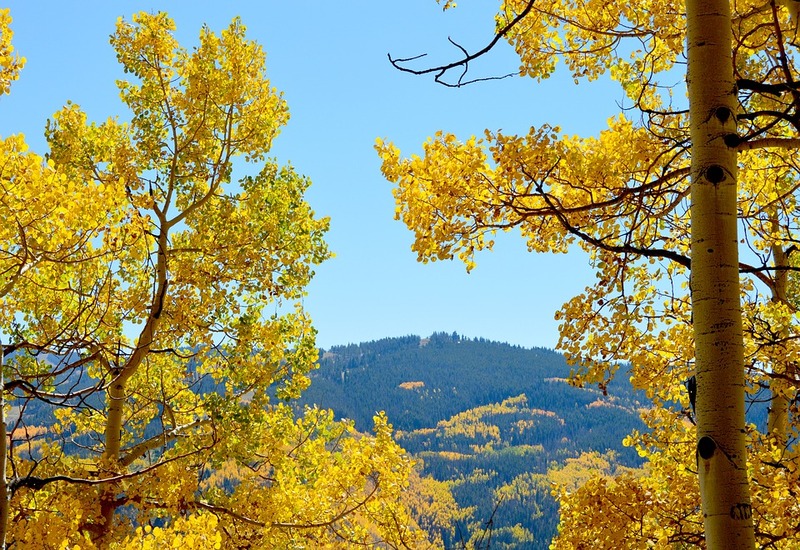 Where are the best places to go to view Colorado’s colorful aspens? For suggestions on Colorado’s most colorful state parks, visit Colorado Parks & Wildlife’s Fall Colors page. Here you can find suggestions not only for where to go, but how – whether you prefer a car trip, camping, hiking, biking, horseback, or a fall-themed outdoor event. Or view their publication Rush to the Gold: 8 Recommended Fall Trips in Colorado State Parks. Find the State Park nearest you with CPW’s Park Finder map. And don’t forget, you can check out a parks pass from your library. When‘s the best time to go leaf peeping? See the Colorado State Forest Service’s Planning Your Fall Foliage Experience website for viewing tips and how to pick the peak week to go.